Acceptance of myself and acceptance of everything life brings. And as much as I value freedom, I deeply understand now that this is an inside job. And yes, it is terrifying. 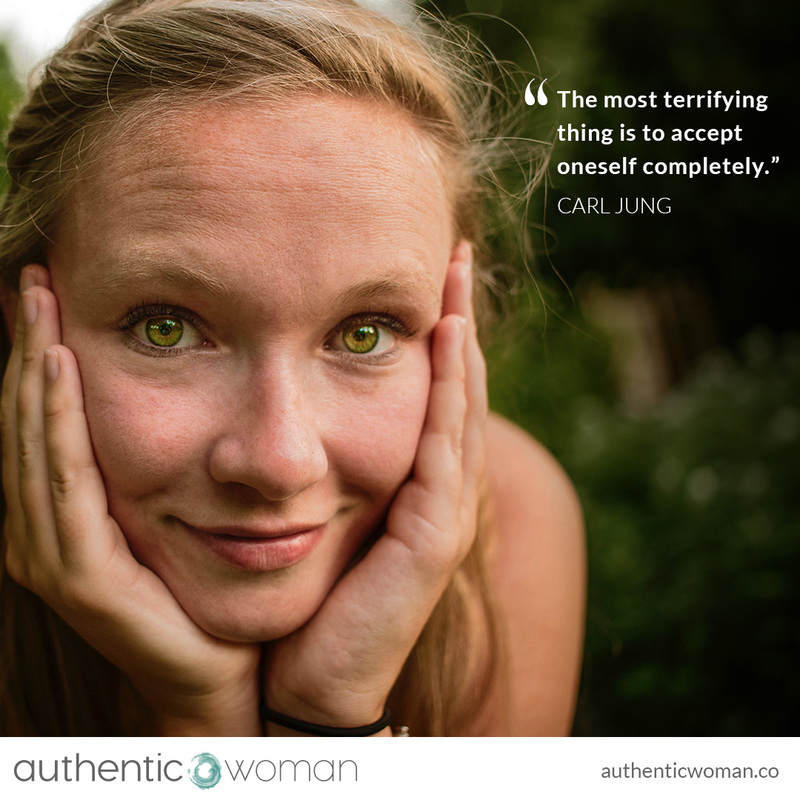 The terror at the core of this for me is if I fully accept myself – including all of my strengths and talents, as well as my ‘crazy’ and dysfunctional bits – will I be loved? There is no logic in this. It is not a rational process to experience true acceptance and freedom. It is fraught with old beliefs, old stories, cultural demands and expectations. Fears of abandonment and rejection. Ultimately the terror that my imperfect and authentic self is not loveable just as she is. So as always, to find peace, to find contentment, to find freedom, to find deep self-acceptance and self-love I must face my terror. Sit in the uncomfortablity and vulnerability of showing up imperfectly and authentically. Sit in the uncomfortability of self-compassion and self-kindness. And on a daily basis practice self-acceptance.